REGISTER NOW FOR VIP ACCESS TO THE EXCHANGE TOWERS! Contact Shawn Gandhi for all of your real estate needs. Contact shawngandhi.com if you have any questions regarding buying or selling a home in the Canada. clients expectations by providing a superior level of personalized service around the clock! Shawn Gandhi’s extensive knowledge and experience will ensure that you find your dream home today. Finding that perfect condo can be tough, but Shawn’s expertise will make finding that condo easy. Shawn has the professional experience, knowledge and determination to find you that perfect home or sell your home. Let Shawn find you an assignment sale today. Stay up to date with the Mississauga real estate industry by following our frequently updated blog. Shawn Gandhi is an experienced real estate agent in Square One Mississauga, who continuously exceeds his clients’ expectations. He provides personalized service tailored to fit the needs of each and every client. Whether you are buying or selling a home or condominium in the Greater Toronto Area. Mr. Gandhi works around the clock to ensure he delivers superior customer service for his clients. In addition, he takes the time to hand deliver documents and other information to make sure he is satisfying his clients’ needs. Shawn is an outstanding Square One Mississauga realtor and has won several prestigious real estate awards over the years. He is employed with RE/MAX, one of the leading real estate brokerage firms in the GTA. His expertise and knowledge of the real estate market is similar to other leading real estate agents in the area, with a few exceptions – Shawn has extensive and comprehensive knowledge of the Square One Mississauga area and specializes in condominiums. Square One is quickly growing and becoming a popular shopping district with plenty of opportunities for new home buyers. Real estate listings in Square One Mississauga are constantly shifting from buyers’ markets to sellers’ markets. Shawn understands how these shifts in market conditions affects his clients when they are buying or selling a condominium or home. As such, he helps his clients to achieve their objectives by helping them buy a new home or sell an existing home for the most appropriate prices. Why Is Square One Mississauga a Growing Market for Home Buyers? Besides the condominium community amenities, other amenities people find close by to their condo are shopping, dining, entertainment, public transportation hubs, parks, community centres, and more. For first time home buyers, condominiums offer an affordable option for purchasing a starter home. They are typically priced lower than semi-detached and detached single family homes in the GTA. Condo ownership is often a great first step and worthwhile investment. For condo owners, who have outgrown their condo and are ready to upgrade into a semi-detached or detached single family home, Shawn is the right choice for your real estate agent. He can assist your with preparing your condo for sale and locate houses for sale in Square One Mississauga and other neighbourhoods in the GTA you are considering. If you want to sell or buy a home in the GTA, get started with help from qualified Square One Mississauga real estate agent Shawn Gandhi. Mr. Gandhi will assist you throughout the entire selling or buying process and helps you find the perfect buyer and your dream home. Feel free to contact Shawn today for more information by phoning 905-795-1900. 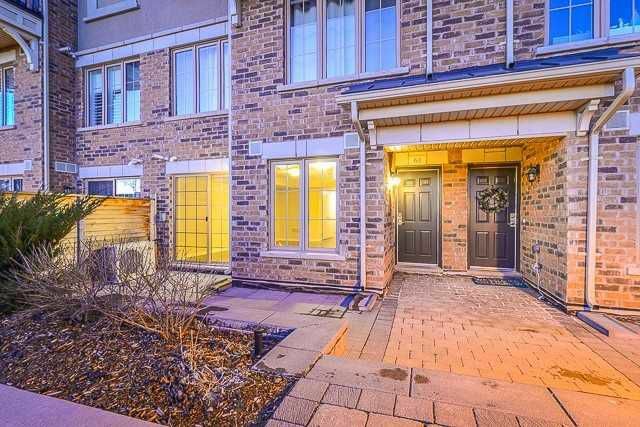 Charming Open Concept Menkes Townhome Featuring Hardwood Floor, Smooth Ceilings Throughout, And Tons Of Windows To Boast Lots Of Light. Double Sided Mirror In Entrance That Leads To Spacious Living Area. Modern Kitchen W/ Granite Counter, Valance Lighting, Upgraded Tile, And Under Mount Sink. Large Master Br W/ Study Area, W/I Closet, And Ensuite Washroom. Full Wr With Stand Up Glass Shower. Shows A++. Shawn Gandhi was born and raised in Brampton, Ontario. During his childhood, he attended a Christian Academy. Mr. Gandhi was an astute student in high school and kept an active schedule. Because of his diligence, he received numerous accolades and awards, like being treasurer, on the honor roll, and athlete of the year. After graduating high school, he worked part time for his family’s hotels and attended York University, where he received a Bachelor in Administrative Studies. A short time later, he applied for and received his real estate license to be a licensed sales person through the Toronto Real Estate Board (TREB). Mr. Gandhi become a sales agent for Homelife United Reality Inc. and spent about 3 years working for this brokerage firm selling condominiums and houses in the GTA. He was fully dedicated to offering his clients the best service from GTA and Mississauga real estate agents. His commitment and family background allowed him to receive the esteemed Diamond Award. 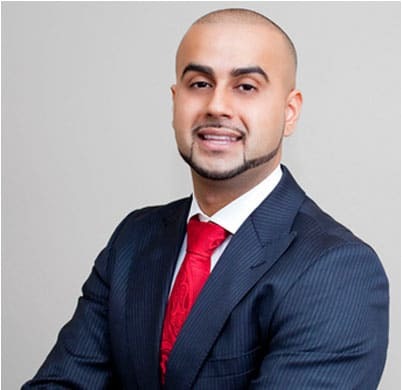 Shawn Gandhi joined RE/MAX Real Estate Centre real estate agents in Mississauga to further his career growth and development, as well as meet the growing demands of his clients. Since joining RE/MAX, Mr. Gandhi has been featured in numerous real estate agent listings in Mississauga and helped many buyers and sellers connect. He was awarded the prestigious “100% Club Award” in 2014 by the Canadian headquarters of RE/MAX INTREGRA. From his extensive work experience, Mr. Gandhi had an interest in property investment in the GTA. He had set aside some of his own private earnings as he searched for the right property investment. He wondered where he could purchase a condominium to live in, while at the same time make money on his investment. After a large amount of research, he was drawn to the Mississauga Square One area. This area attracted him because there was a growing population, future developments, and an ideal location with highly demanded community amenities and easy access to the transit system. Mr. Gandhi carefully studied and researched all condominiums in the area. He searched real estate listings in Square One Mississauga and eventually purchased two condos. He moved into one of his Mississauga condos, where he currently resides. From his detailed research of all condos in the Mississauga area, he knows precisely where to take clients looking for condos for sale in real estate agent listings in Mississauga. All a client has to do is describe the type of property they want, what amenities and features they like, and Mr. Gandhi provides them with listings from himself and other real estate agents in Square One Mississauga and the surrounding areas. Shawn Gandhi is fully dedicated to each and every one of his clients. Besides English, he is both a Punjabi speaking real estate agent in Mississauga and a Hindi speaking real estate agent in Mississauga. What sets him apart from other Square One real estate agents is his level of customer service and commitment. He hand delivers all forms and contracts to his clients, picks up status certificates and other documentation, and even consults with the lawyers, as well as negotiates on his clients’ behalf to get the best deals. Mr. Gandhi also takes the time to educate his clients about the buying and selling processes. His goal is to ensure his clients’ needs are fully met and they are completely satisfied. In addition, he has developed an extensive network and relationships with lawyers, trades people, security and concierges in every building and utilizes these to help his clients. Find the perfect home today, by contacting Mississauga real estate agent, Shawn Gandhi today at 905-795-1900. "Shawn kept me informed throughout the sale process and I would highly recommend him!" Mississauga has become a central hub with lots of condo development and opportunities to buy and sell. I've had years of comprehensive experience working specifically in Mississauga and happy to call it home. With over 20 Million Dollars in sales I have the capability to provide results for you.